In 1860, two families from Nephi established a ranch on the Chicken Creek, about 17 miles south of Nephi. Although the settlement grew, and even obtained a post office, it was recognized that the soil of the area was not highly suited for cultivation and the water supply was short. The community leaders asked the church to assist them in the selection of another site for the town. With the assistance of LDS Church Apostle Erastus Snow, the new site, between Chicken and Pigeon Creeks, was selected. The original townsite constituted 56 blocks in a gridiron pattern. The name of the settlement was changed from Chicken Creek to Levan, a name chosen by Church President Brigham Young. Settlers for the new townsite arrived in 1868 when the William Dye Family located on block 34. 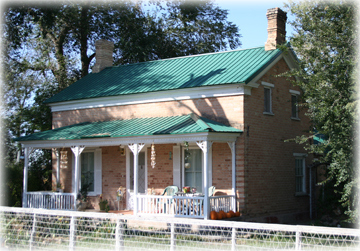 The first brick home was erected in 1871 by Elmer Taylor. Dry farming of wheat on the Levan Ridge, North of town, was initiated in the early 1870's. The farming was successful and the agricultural economy and lifestyle of Levan was established. 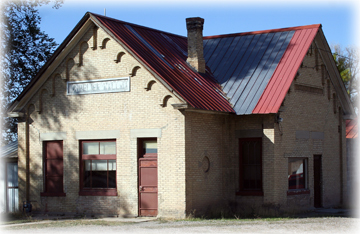 Buildings of historic significance still remaining in Levan are the LDS meeting house and recreation hall on First East. 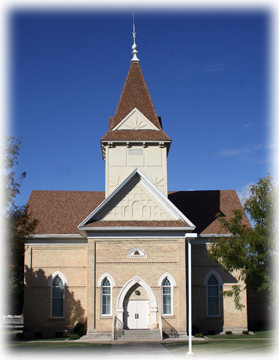 The original chapel was built in 1904. It offers an attractive example of the Gothic Revival style. 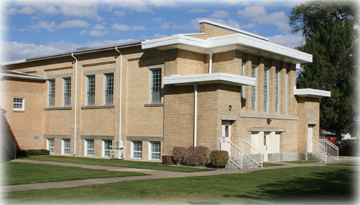 The recreation hall is a later addition that is considered one of the best examples in Utah of the use of the Prairie style for a religious building. A brick building, possibly the oldest in Levan, stands on Second West- (Block A-21) as one of the best preserved of the Vernacular style. 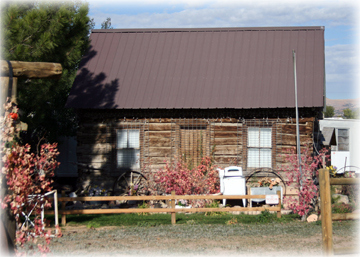 The many old log outbuildings that can still be seen throughout the town attests to the relatively little change that has occurred in Levan over the years.